Fatal motorcycle crash closes Courney Campbell Causeway. Photo courtesy of Clearwater Police. 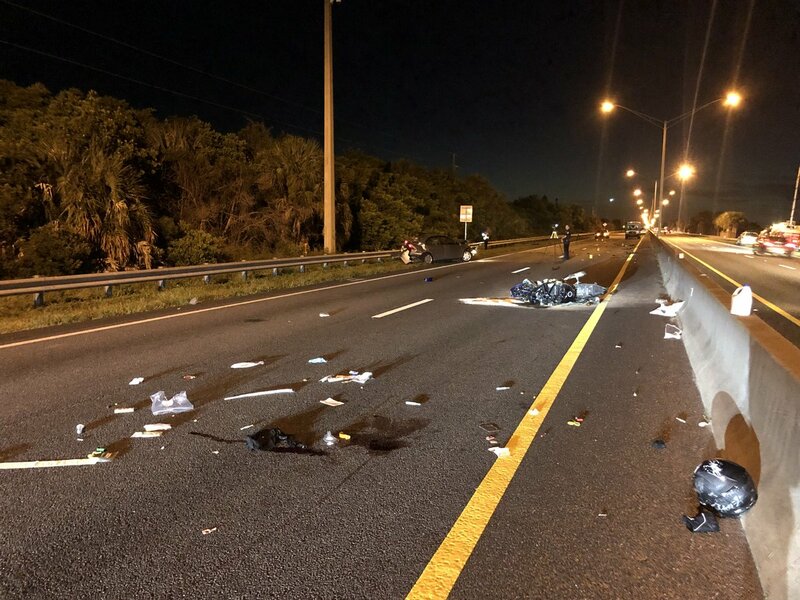 A motorcyclist was killed in a collision on the Courtney Campbell Causeway prompting a full closure of the roadway to westbound traffic. 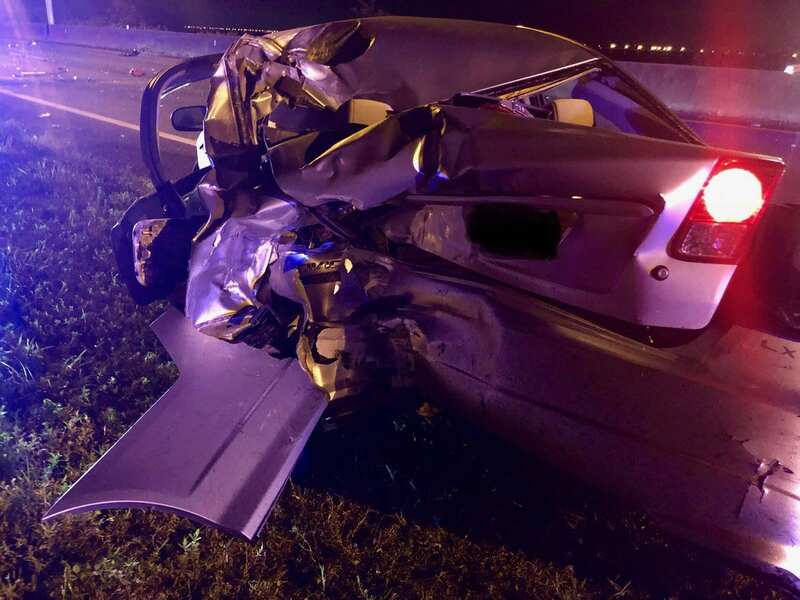 The traffic crash occurred in the westbound lanes of the Causeway at approximately 3:16 a.m. on Friday, September, 14, 2018. Motorcycle involved in crash on Courtney Campbell. Photo courtesy of Clearwater Police. 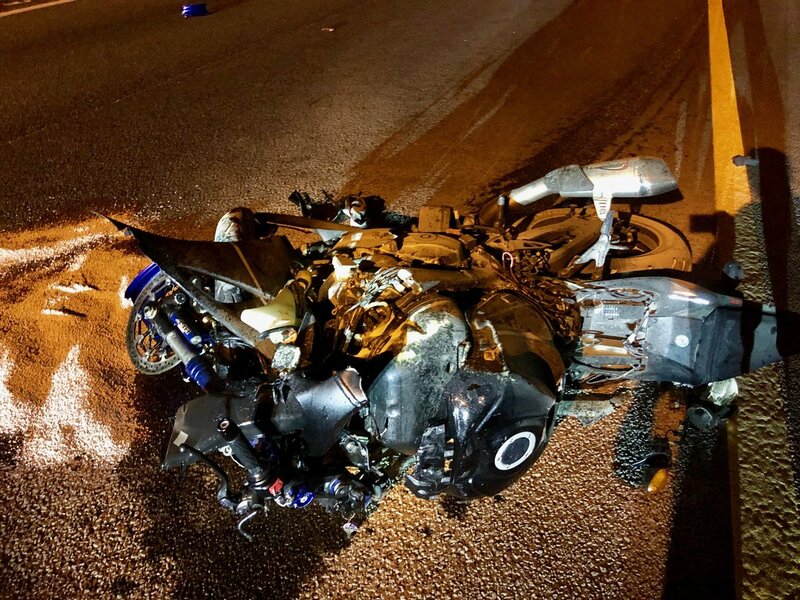 Clearwater Police and Clearwater Fire & Rescue were dispatched to the traffic crash involving a collision between a 2018 Suzuki motorcycle and a car. The motorcycle caught fire after the impact. The motorcyclist, 29 year-old Nathaniel N. Varnadore of Largo was taken to Mease Countryside Hospital as a trauma alert with life-threatening injuries. Varnadore later died from injuries in the crash. Vehicle involved in crash on Courtney Campbell. Photo courtesy of Clearwater Police. The driver of the 2005 Honda Civic, 59 year-old Anthony C. Tucker of Dunedin was taken to Mease Dunedin Hospital with minor injuries. The crash occurred about 200 yards east of Damascus Road. Police say that Varnadore ran into the rear of the Civic. The westbound lanes coming from Tampa to Clearwater were closed until about 7:35 a.m. as the investigation was conducted. Tampa Police closed the lanes of traffic just west of Rocky Point near the entrance of Ben T. Davis and traffic was being u-turned into the eastbound lanes.